The Beatles 50 Years Ago Today: September 4, 1967. Beatles Radio: The Beatles, Solos, Covers, Birthdays, News The Fab 4 and More! The Maharishi Mahesh Yogi gives an audience to the Beatles and friends, on September 4, 1967. 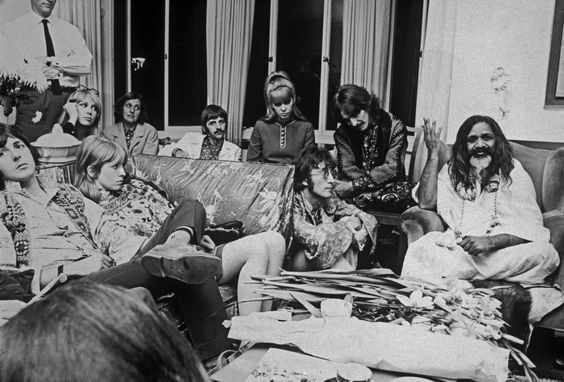 Left to right: Paul McCartney, Jane Asher, Patti Harrison, unknown, Ringo Starr, his wife Maureen, John Lennon, George Harrison and the Maharishi Mahesh Yogi.